Our beautifully designed range of etching presses. 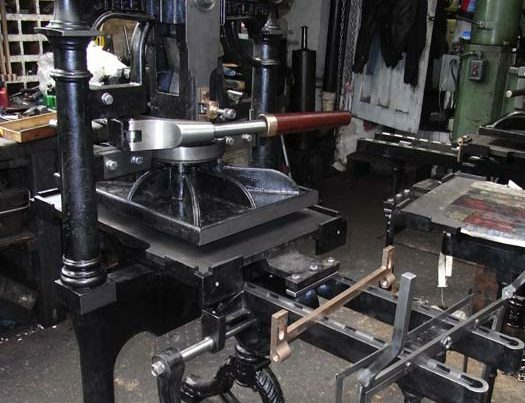 Our stunning Albion Press, Cylinder Letterpress and Nipping Presses. 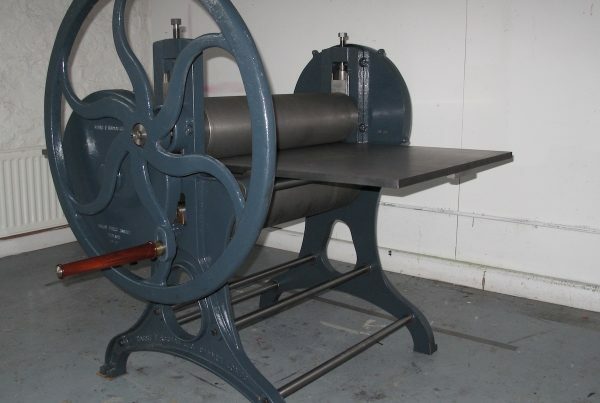 Press consumables, small studio equipment, hand press rollers, blankets and other items. Help keep your machine as safe and fully operational as it can be. Full servicing, standalone training and induction services are available. Brand New Victorian style machinery. Beautify designed and crafted. Built using quality materials. All makes and models of machines attended to, both new designs and traditional original machines. Problem machines welcome! Full Refurbishments undertaken, including fault finding, authentic repairs true to the original part design, hand polishing and finishing. No job too big or too small! From a simple internal reposition to full Studio and Print Workshop move. All machines are serviced on installation. Suppliers and manufacturers of highest quality fine art Etching, Albion, Direct and Offset Litho presses and associated equipment. 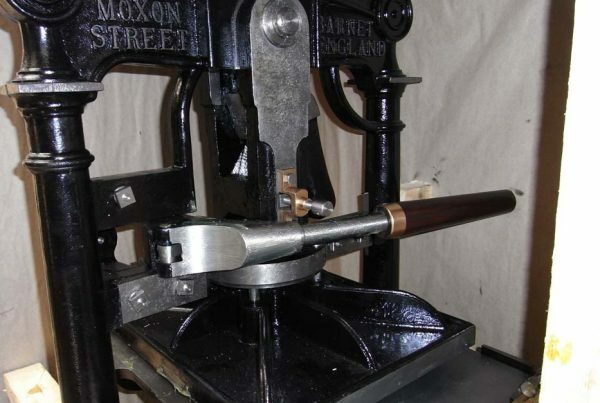 Suppliers and manufacturers of traditional iron bookbinding machinery. Specialist fine art print machine movers. All makes of Etching, Albion, Offset and Direct Litho presses moved by fully insured and highly experienced engineers. Moves undertaken for private artists as well as large institutions, co-operatives or open access studios. Please click the above tab Removals for further information. Servicing and maintenance of a vast range of print workshop machinery; private and public access print workshops, undertaken, country wide. Annual services undertaken. Please click the above tab Servicing for further information. This is a truly Great British Company (since1969) in the tradition of industrial small businesses. Harry F Rochat are to printing engineering what Morgan is to cars. It is a family run business and it is always a pleasure to pop in and see them about any engineering works -and no I am not a relative!